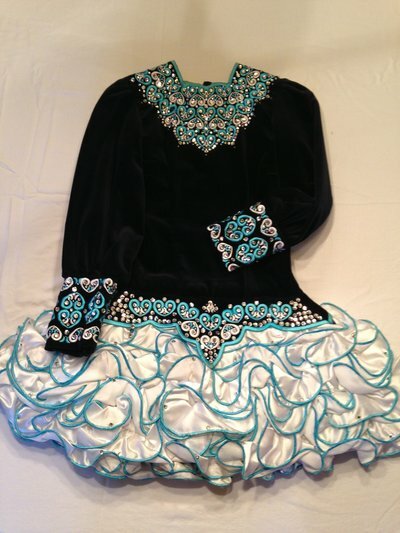 Beautiful navy blue velvet Diore(Shauna Sheils) dress with white skirt and teal (Crayola color blue-green) embroidery, bloomers and lining on cape. 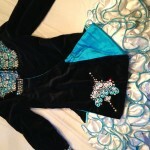 Gorgeous tastefully set Swarovski crystals including crystals on skirt. Two bloomers, headband and cape. 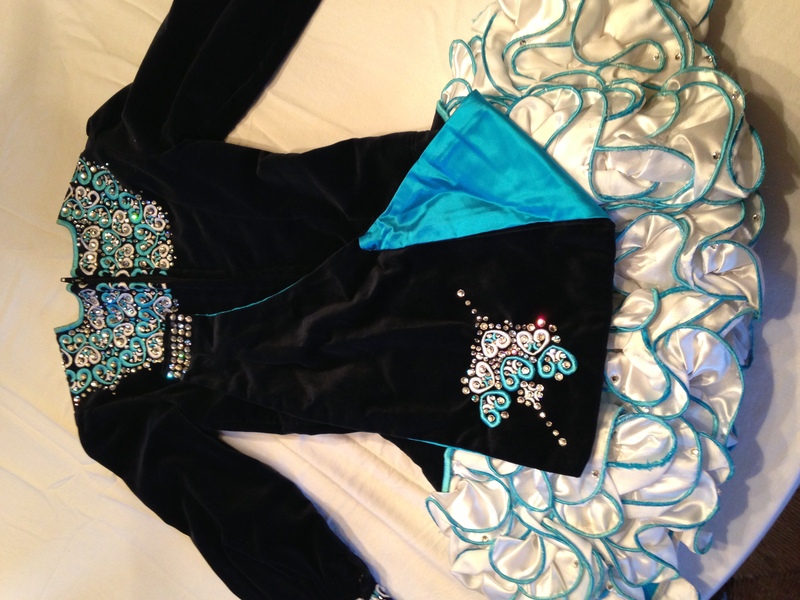 Condition of bodice and arms very good, skirt good. No odor, slight tanner inside neck.